Once your site is up and running, search engine analytics are an important benchmark of your website's performance. There are a number of Chrome tools that provide key metrics like page traffic, backlinks, page rank, and domain authority, among others. 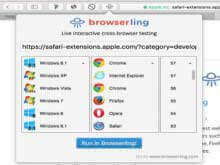 Others apps check your website for missing metadata and broken links, which aid in optimizing your web pages for search. SEO PageRank displayes PageRank, Alexa Rank, Geo IP location, Google+ shares, Twitter shares, Facebook and other information about a page. PageRank is Google’s system for ranking web pages. SEO PageRank help to analyzes a web page current status. 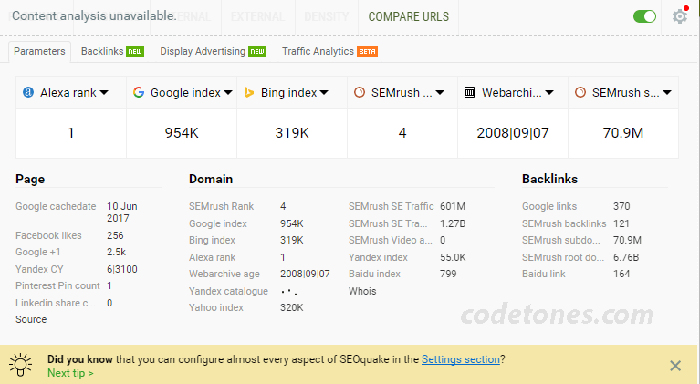 SEOquake is a free plugin that provides you with key SEO metrics, along with other useful tools such as SEO Audit and many others. SEOquake consists of several tools you can use depending on which specific SEO endeavors you're pursuing. 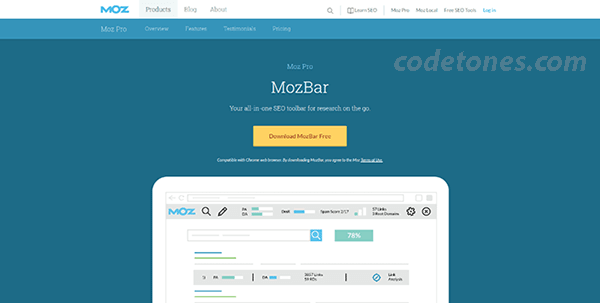 The SEO bar is an additional toolbar located at the top of the browser window, and it presents core metrics – a number of which can be customized. Has a lot of functionality Website ranging according to search engine. 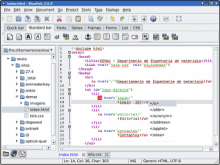 Information of social media shares and HTML CSS validation. 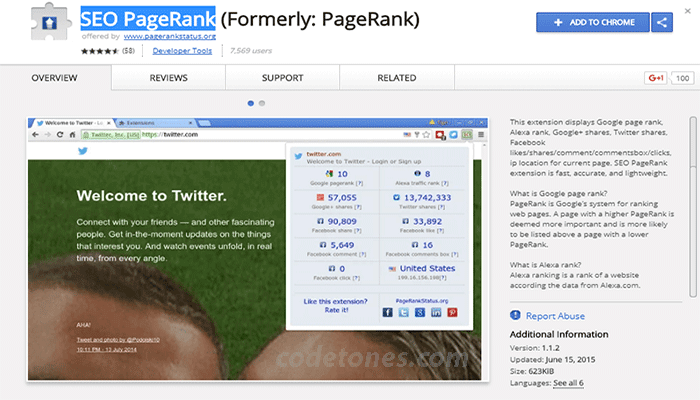 Shows Google PageRank of the current page. More features including IP Geolocation, Domain Whois, SEO Stats, Pages Indexed, Backlinks, Alexa Rank, Social Analysis and many other SEO Tools. 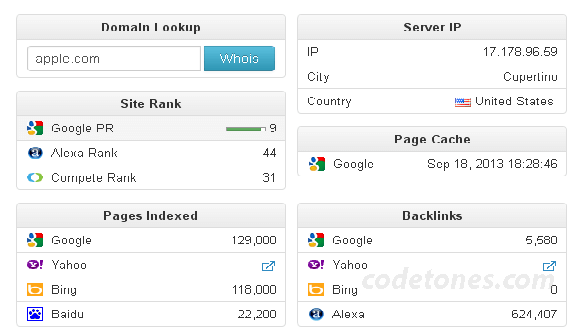 YSlow analyzes web pages and suggest how to improve page performance based on a set of rules. YSlow is availale for Firefox and Opera Browser. 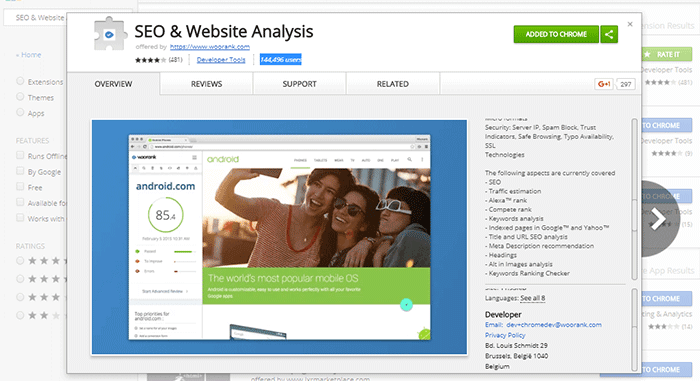 YSlow, tests the speed of your website, analyzes different factors and produces a report. Undoubtedly one of the best SEO Extension. Gives page and domain authority according to the Moz index. ★ Create custom searches by engine, country, region, or city. ★ Quickly assess the Page Authority and Domain Authority of any site or page. ★ Access and compare link metrics across pages while viewing any SERP. 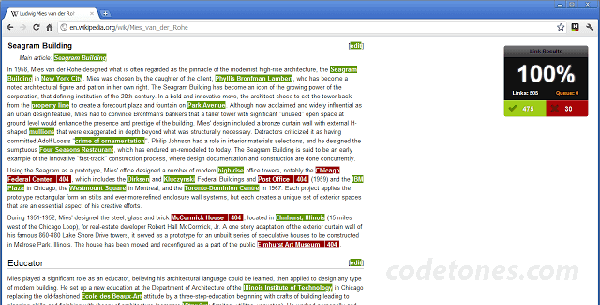 ★ Find and highlight keywords on a page and differentiate links by type: Followed, No-Followed, External, or Internal. ★ Expose page elements, general attributes, markup, and HTTP status. SEO & Website Analysis Analyzes a wealth of SEO analytics. SEO & Website Analysis by WooRank provides a deep SEO analysis covering SEO, Mobile, Local and Usability. It is a powerful tool for internet marketing professionals, designers, website usability experts, web and mobile developers and other digital professionals. Check My Links is an extension developed primarily for web designers, developers and content editors. 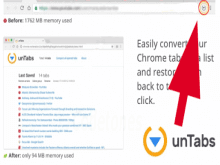 Check My Links is a link checker that crawls through your webpage and looks for broken links.Check My Links will assess the current page for broken backlinks, and will highlight broken ones in red and functional ones in green. 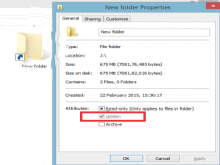 Useful to inspect the meta data found inside web pages, usually not visible while browsing. 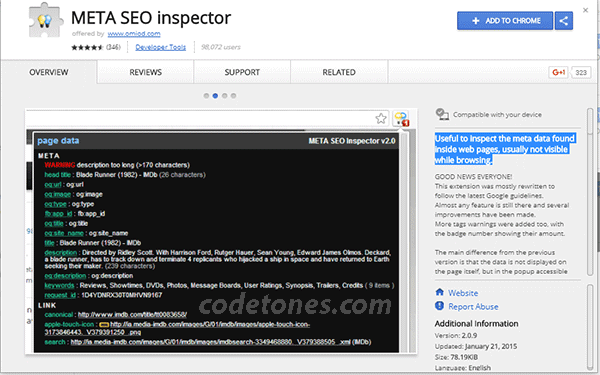 META SEO inspector Inspection of meta tags within a site. It is very useful for helping to improve SEO factors. How to do WordPress Website SEO Beginner to Advance Step by Step?